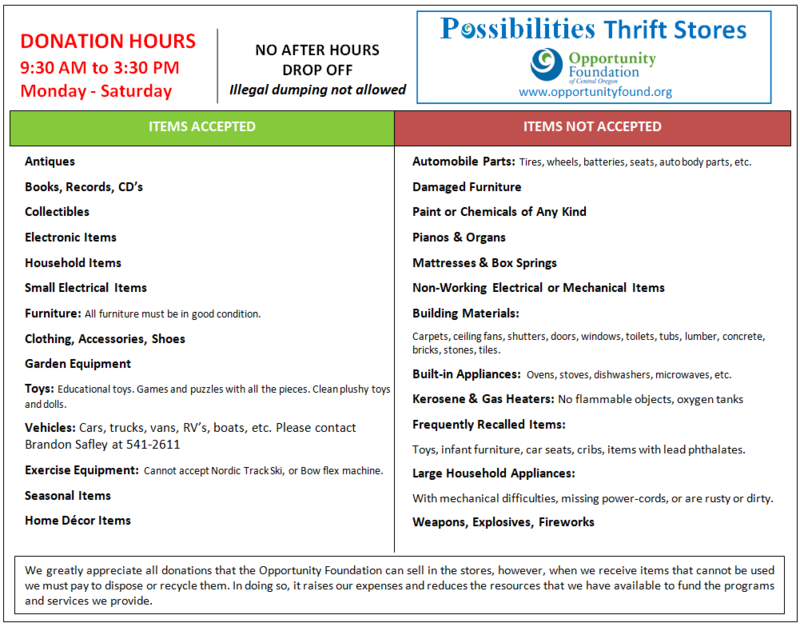 LONGER STORE HOURS & DONATION HOURS! ​BAG SALE SPECIAL MONTH OF APRIL! Our "Possibilities," Thrift stores in Bend, Redmond, and Madras trains over 150 individuals with intellectual or developmental disabilities to learn job skills through hands on community work preparation at our stores. By providing access to affordable goods and employing enthusiastic and skilled people, we’ve created a great place to shop! Our Thrift Stores are a wonderful place to donate your gently used items, and find a bargain. We offer great deals on high quality merchandise, while having a positive environmental impact. All while helping support our Non-Profit dedicated to Empowering People of Diverse Abilities! Donations stay in our community and support our programs and are always appreciated. Location: 275 NE 2nd St. Please call 541-389-0129 to schedule a donation pickup! Please call 541-548-5288 to schedule a donation pickup! Please call 541-475-6961 to schedule a donation pickup! We’ll happily pick up your unwanted, reusable items within the city limits! 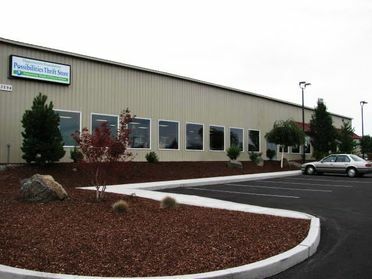 BEND 541-389-0129 to schedule a donation pickup! REDMOND 541-548-5288 to schedule a donation pickup! MADRAS 541-475-6961 to schedule a donation pickup! Shop our online Thrift Stores for great deals on specialty items! all sale proceeds return to support our local programs and services for 270+ individuals who experience developmental/intellectual disabilities in Central Oregon. Click Logo below for direct link to shop on our Thrift Store page! To help make a difference in your local community, consider volunteering at one of our thrift stores. We can use your expertise in a variety ways to help keep our stores looking great and help us receive our donations and get them processed out to our community! New Discount Days coming soon! SAME $10 Clothing Bag Sale the Last Monday of each month!